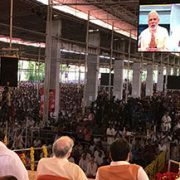 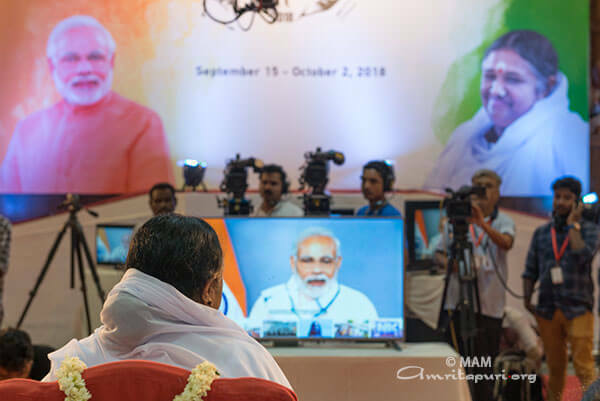 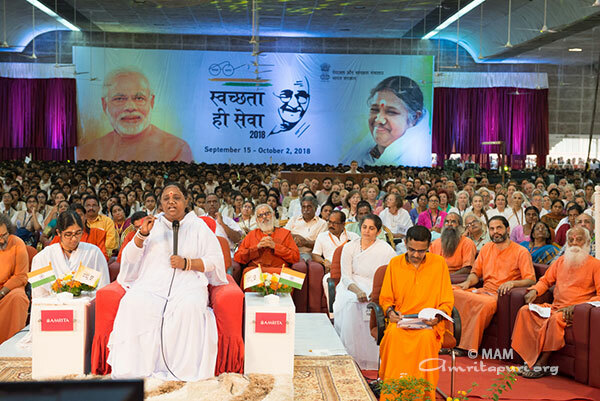 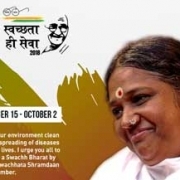 As part of the Government of India’s “Swachhta Hi Seva” Relaunch, Amma held a video conference with the Prime Minister of India, Sri Narendra Modi. 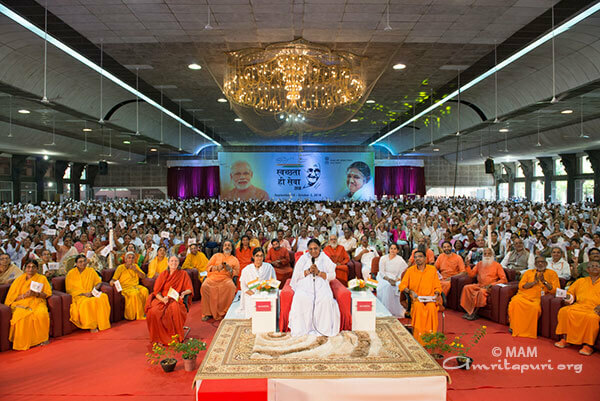 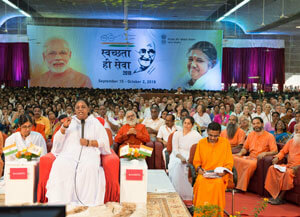 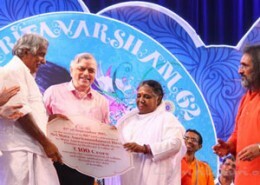 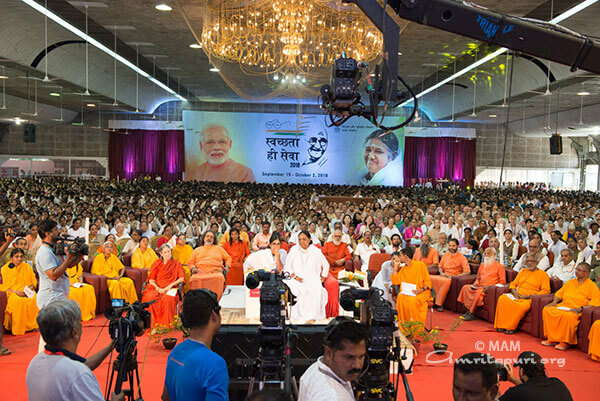 Amma, Amma participated from the Amritapuri Ashram’s Darshan Hall, which was overflowing with devotees, disciples and students from Amrita University. 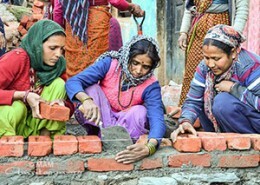 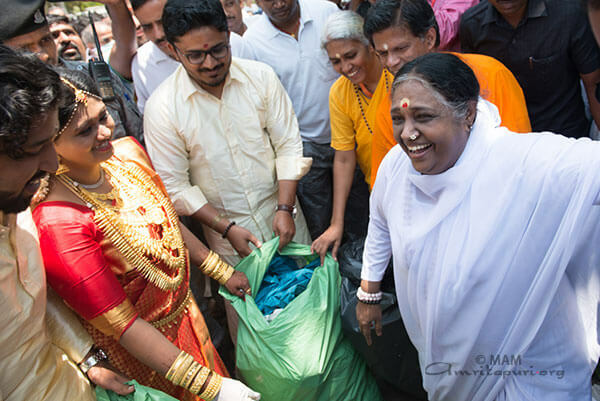 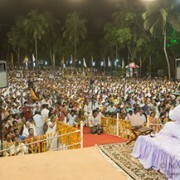 Immediately after the program, Amma and devotees went to clean a sixteen-kilometre stretch of coastal belt near the ashram. 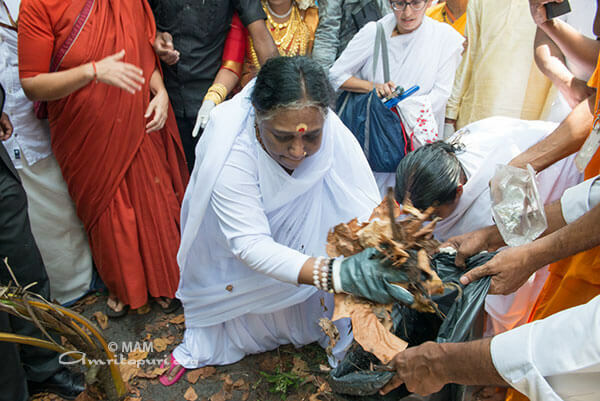 Among the devotees who participated were Durga Lekshmi & Suraj S; Mithula & Dhanush, the couples who were going to get married today. 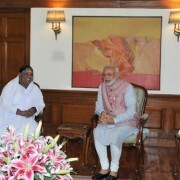 They were in their traditional marriage clothing. 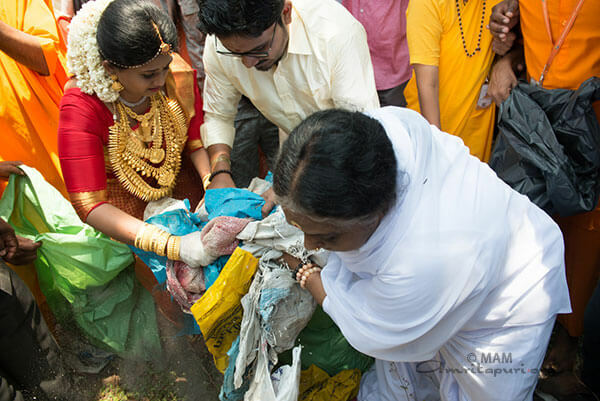 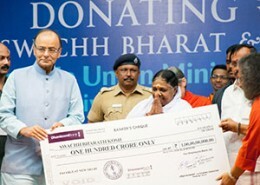 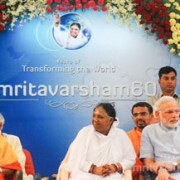 Their wedding was performed by Amma after the completion of the cleaning drive.